Diabetes is a disease which damages many vital organs of your body and you just keep on taking medicines that seem to have no effect on it. However, when you select Diabetes package from DJI Ayurveda then it helps you a great deal in bringing your sugar level back to the normal. Technically, diabetes is a disease in which either your body stops releasing insulin (a pancreatic hormone that helps glucose to get into cells and release energy) or produces so less insulin that your sugar level goes high. Also known as Madhumeha, diabetes is categorized in Ayurveda as Vataj Meha, which is a disorder caused due to the aggravation of Vata. Madhumeha comes from two words - Madhu (honey) and Meha (urine). 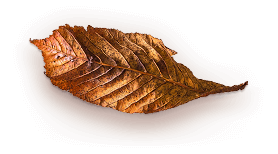 In Ayurvedic humor, Vata symbolizes wind and dryness and the worsening of different organs in the diabetic patient’s body is an indication of an impaired Vata. 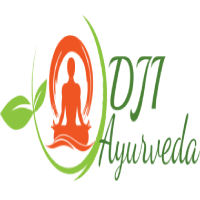 How does DJI Ayurveda Diabetes package help? When you opt for Ayurveda Diabetes package available here then your sugar level is kept under control with the help Ayurvedic medication, healthy diet-lifestyle plan apart from Ayurvedic therapies and Ayurvedic massages. The only way to treat diabetes is to rejuvenate your body and this is only possible when you select our extraordinary diabetes package. According to Ayurveda, the production of insulin is affected due to the accumulation of specific digestive impurities, which are also known as Ama. Unlike modern medicine, Ayurvedic medicines work in eliminating the root cause of diabetes and improve your digestion by introducing you to a healthy life. So, choose our Diabetes package and allow us to help you in becoming fit again. You do not have to run from one place to another in search of Ayurvedic medicines for diabetes as we offer you all the medications at a competitive price.